Excellent for packs and small pots. 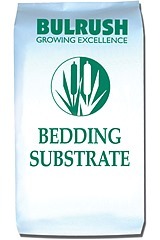 Our bedding mix is free flowing and ideal for use with tray filling and transplanting equipment. A medium feed level has been incorporated to establish even growth. Liquid feeding techniques are the favoured method to sustain longer cropping programs. However, the addition of controlled release fertilisers are also available on request. Available sizes: 80L bag, semi-bulk bags, mega bales and bulk.